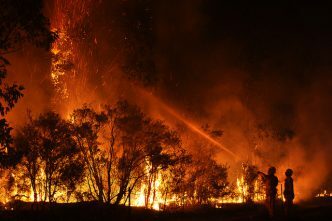 Impacts of climate change have been recognised (through empirical and scientific evidence) as a threat multiplier in international peace and security. Unanimous adoption of UN Security Council resolutions linked to peace and security are a clear indication that they remain a global priority. However, there’s still some controversy among member states about recognising climate change as a major security threat. 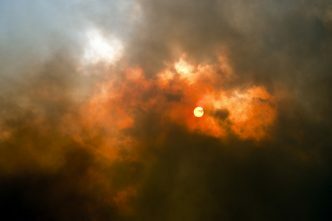 Evidence connecting climate change and conflict remains limited but has evolved greatly over the past few decades. That evidence, combined with collective action, has been motivating people across the globe to come together to demand accountability. 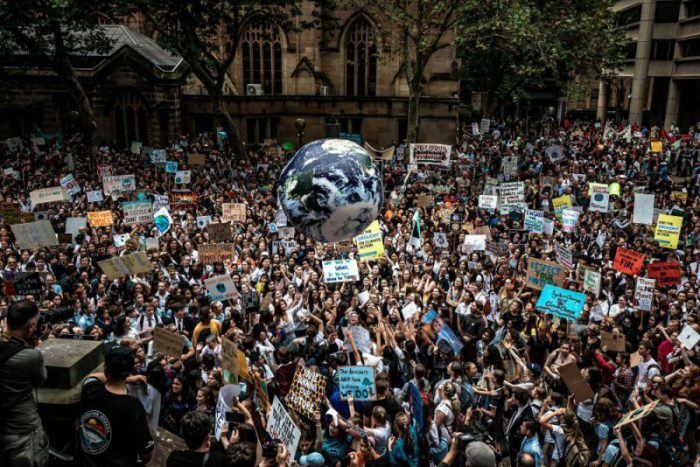 The most recent example was the School Strike 4 Climate, in which thousands turned up to support more than 55 separate events in Australia alone. It also demonstrated the importance of engaging young people in discussions about security issues. Worldwide, four times more people are displaced by extreme weather events than are displaced by conflict. In 2018, 282 natural disasters were recorded globally. In 2016, 24.2 million new displacements were caused by natural disasters. China, India and the Philippines had the highest absolute numbers, but small island states were shown to have suffered disproportionately once population size was taken into account. 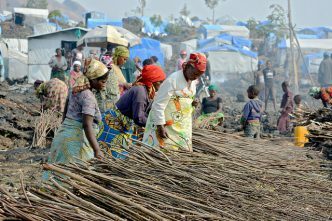 An Oxfam report indicates that people in low- and lower-middle-income countries are five times more likely to be forced from their homes by sudden-onset weather disasters, such as floods and storms, than are people in developed countries. 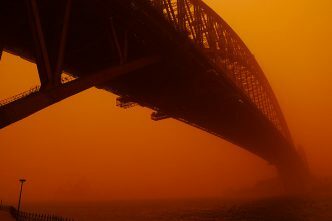 This also means that extreme events such as droughts, floods and sea-level rise will make some places uninhabitable way before a crisis is declared. For example, people in Bangladesh, India and the Philippines are displaced in their millions every time a typhoon or flood strikes. In Bangladesh alone, around 15 million people are expected to be displaced as a result of climate change and natural disasters by 2050. Small Pacific island states are responsible for approximately 1% of global carbon emissions, yet bear the burden of its impacts. Atoll nations such as Tuvalu, the Marshall Islands, Kiribati, Palau and the Federated States of Micronesia are at risk of losing their territories. Where will all these people go? And how will that affect regional and global peace and security? International peace and security agendas have mainly been centred on armed conflict. 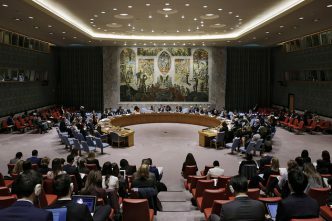 The constantly changing geopolitical environment has paved the way for various challenges that require the attention of the Security Council. The adoption of resolution 1325 on women, peace and security (WPS) is still considered a landmark win, not only for the women’s movement but also for peacebuilders. Next year will mark its 20th anniversary, but considerable challenges remain in the implementation and localisation of the core pillars of resolution 1325 (prevention, protection, participation, and peacebuilding and recovery). The lack of integration between the political–military and socioeconomic pillars in international peace and security agendas has been detrimental to women. The WPS agenda is a work in progress with significant potential to take proactive and pragmatic action for long-term sustainable solutions to global peace and security challenges. Similarly to the WPS agenda, the youth, peace and security (YPS) agenda legitimised and recognised the contributions of young people in peacebuilding, conflict resolution, and international peace and security. Security Council resolution 2250 identified five priority pillars: participation, protection, prevention, partnership and disengagement. While most international frameworks have been developed with good intentions, there has been (and remains) a gap in the YPS agenda’s application. There has always been a disconnect between technical texts, national action plans and implementation at the community level. It becomes crucial to establish, finance and consistently support mechanisms that prioritise the pillars of peace and security. Meaningful engagement that’s accessible, consistent, intergenerational, gender inclusive and gender sensitive must be the key in implementing agendas and action plans. Today, young people are demanding that their voices be heard, as the consequences of climate change threaten to affect their lives the most. They recognise that drastic and significant action must be taken now if the world is to avoid catastrophic climate change. In the past few years, we’ve seen a tremendous increase in young people engaging constructively in sociopolitical campaigns and amazing the world with their creative and innovative solutions. Examples include young human rights defenders, young women in activism and the Pacific Climate Warriors. The School Strike 4 Climate, a movement ignited by 16-year-old Greta Thunberg of Sweden, which gained great global momentum and brought ten of thousands onto the streets in more than 120 countries on 15 March, shows that young people will no longer be bystanders and are demanding action and accountability. There are definite complementarities between the WPS and YPS agendas, particularly in the participation and involvement of young women. As the focus falls on accelerating action on peace and security agendas, attention must be paid to the intersecting areas that can be covered by such a framework. Australia’s commitment to international cooperation and to advancing a holistic peace and security agenda could be a trendsetter, and potentially one that inspires other nations to follow. As emphasised earlier in this series by Susan Rimmer, ‘These goals must be pursued in a spirit of true partnership.’ This also means being cognisant of climate commitments and working towards just, equitable and low-carbon energy transitions. If we’re to progress strongly with the peace and security agenda, we need to be able to break away from silos and work together. Now, more than ever, we have to believe that we’re better together. Betty Barkha is an adviser with FRIDA—The Young Feminist Fund. She has worked with various youth and feminist-based movements in the Asia–Pacific region on education, peacebuilding, conflict resolution, climate change, resilience, sustainable development and youth development. Image courtesy of School Strike 4 Climate on Facebook.